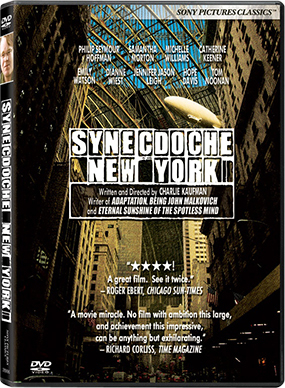 CINELATION | Movie Reviews by Christopher Beaubien | DVD Releases: Synecdoche, New York, Pinocchio, Let the Right One In and More! Written by Christopher Beaubien • March 10, 2009 • Start the Discussion! This has to be a record! 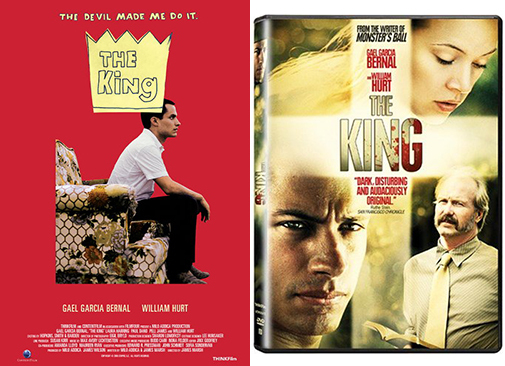 Five of my choices for the Best Films of 2008 are being released today on DVD. To top it off, a real Disney classic has been given the pristine treatment. What a stellar date this is for film lovers. 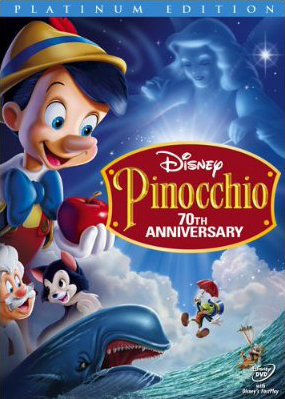 Pinocchio is arguably the best animated feature film that Walt Disney Studios initially released. This beautifully rendered animation directed by Ben Sharpsteen and Hamilton S. Luske makes my heart go out to the immortal two-dimensional format. It’s true that Snow White and the Seven Dwarfs (1937) directed by David Hand was a revolutionary pioneer of animated features, but Pinocchio easily trumps Snow White as a compelling narrative. With Pinocchio, every brush-stroke, the rich texture conveyed by the surface of the canvas or paper, the consistency of the watercolor wash, or the density of the pastel chalk, is all displayed with dazzling purity. The effect is like being absorbed into a moving picture full of life and infused with the spirit of the artisans that crafted it together. Such nuance, which was obscured by the added artifacts of multi-generation film-print production for its original audience now breathes a new life of clarity for high definition viewers today. I can’t complain. I don’t think that Walt or his artists would either. 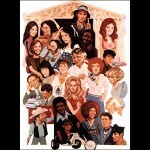 The DVD has a number of extras including documentaries, deleted scenes, and an indispensable audio commentary by Leonard Maltin, Eric Goldberg and J.B. Kaufman. What do I think is the best animated feature to come out of Disney? It is the only one to be nominated for the Academy Awards’ Best Picture: Beauty and the Beast (1990) Back when I was too young to attend more mature fare and movie tickets were sold at $4.75, my wonderful sister Michelle took me to see it fifteen times. I have never seen a single movie in a theater more than that since. In all of its glory, Synecdoche, New York was my favorite film of 2008. In the DVD included featurette Infectious Diseases in Cattle: Bloggers’ Round Table, I participated in a discussion about the merits of Charlie Kaufman’s directorial debut with Karina Longworth (SpoutBlog), Walter Chaw (Film Freak Central), Andrew Grant (Like Anna Karina’s Sweater), and Glenn Kenney (Some Came Running). I was very fortunate to be in this company. If you want to engage with some of the best in professional film criticism, look to these four class acts. A special thank you to producer Caddie Hastings (The Grossmyth Company). 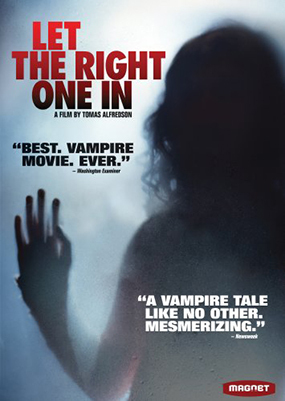 Let the Right One In should be the set standard for all filmmakers wanting to make a horror film. So many first timers think horror equals easy. The result — shelves beyond shelves of junk. If only the quality of the genre were as intimidating and enriching as this. My only qualm is outside of Tomas Alfredson’s excellent production: the proposed American remark by Matt Reeves, which could never match the original here. Again, nothing could. The DVD includes fascinating scenes on the cutting room floor — I wish that the Eli & Oskar Interior Scene was kept in the feature — and an informative featurette that is over much too soon. However, if you don’t wish to be exposed to the technicalities that made the swimming pool scene possible, avoid that feature. Those with a healthy appetite for the filmmaking process are going to eat this up. I also love the holographic cover here. Subtle and creepy. The designer who labeled the disc with only Eli’s silhouette deserves a cigar. The only drawback on the DVD is on Magnet’s and Magnolia Picture’s part: The subtitles on the DVD are different from those originally from the theatrical cut by Ingrid Eng. Worse, the changes have dumbed down the dialogue. For those of you who haven’t bought this movie yet, wait until a new line has put the correct “Theatrical” version on the market. Unfortunately, I am displeased that Magnet has no plans to set up an exchange system for those who bought the initially flawed DVD without warning. It shows a lack of respect for their customers. 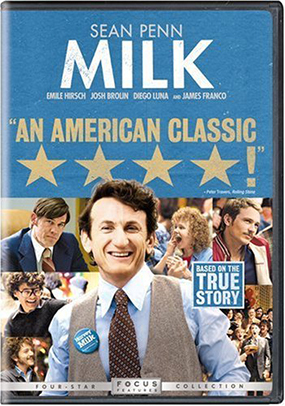 Of the selected nominees for the Academy Award Best Picture, Milk is the strongest film that resonates after repeat viewing. Watching it again today, I was moved as much as I was on my first viewing. If Mickey Rourke’s work in Darren Aronofsky’s The Wrestler (2008) had to be passed up, I’m glad Sean Penn got it for his amazing transformation into Harvey Milk. That’s exactly what it was — a transformation. In regards to Gus Van Sant, Milk is a close second to my favorite of the director’s filmography, To Die For (1995). This picture is just wrong. Now people are going to think Happy-Go-Lucky is a romance. Happy-Go-Lucky is more than that, as is any film by Mike Leigh. From the perspective of schoolteacher Poppy Cross, finding love would be wonderful. But if there isn’t any love to find today, then surely there’s something else to be happy about. Not many films are that truthful. 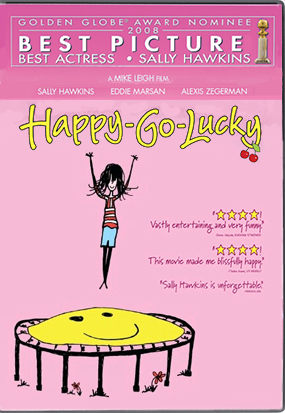 For the DVD cover, this is a variation I whipped up of the illustrated poster of Happy-Go-Lucky would have been much better. On the director’s commentary, Marsh complained that one of ContentFilm’s producers thought the good poster “belonged in an art museum, not in a video store.” This is the mentality that marginalizes the worth of cinema. And don’t get me started about how the last two minutes of Bob Dylan’s song Cold Irons Bound over the end credits were cut out of the DVD. My two viewings of The King in theatres continued the haunting Dylan song after the credits had ended and the last two minutes of it played over a black screen. It was chilling and wonderful. Then some pipsqueak decided to fade out the song and stop The King as the end credits finished. 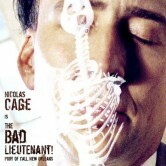 Now you know why the theatrical cut on the IMDB is listed at 105 minutes whereas the DVD’s running time is 103 minutes. Oddly enough, the Tartan Video DVD release in the UK clocks in at 105 minutes supposedly. What sold me here was how Kym, played by Anne Hathaway, blends in with a room full of recovering drug users. 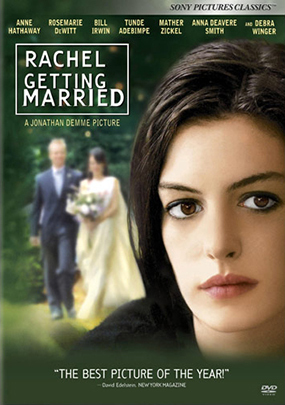 What makes Johnathan Demme’s demanding film Rachel Getting Married so rewarding is that Kym and her sister Rachel both have compelling reasons to be tended to by their loved ones these few days together. Kym has been to hell and back fighting her addiction and guilt. Rachel has been the “good one” and dammit this is her day! Rosemary DeWitt deserves as much credit as Anne Hathaway. They both complement one another as the most realized sisters I’ve seen since Nicole Holofcener’s Lovely and Amazing (2001). The dishwasher scene remains one of my favorites of 2008 because it is at once so exciting and then… I don’t want to ruin it for you.